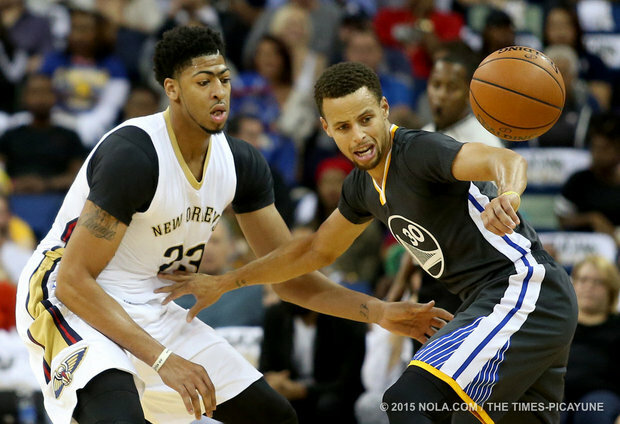 Home / NBA / Peter Curtin / Will the Pelicans Take Flight? Will the Pelicans Take Flight? The New Orleans Pelicans were one of feel-good stories of the 2014-2015 NBA season and entered this season riding a wave of unprecedented post-Chris Paul optimism and high expectations. They were a young team with four starters under the age of 26, they had revamped their coaching staff by bringing in the widely respected Alvin Gentry, and they featured the League-consensus “Next Big Thing”, Anthony Davis. Nothing has gone according to plan. Two weeks of the season are in the books and the Pelicans are a depressing 1-7. Their offense has taken a tumble from last year, down from 105.4 points/100 possessions to 100.9 points/100 possessions, a number that currently sits at 15th in the NBA but would only have been good enough for 22nd one season ago. That New Orleans has struggled scoring is only somewhat surprising given their long list of injuries, however their complete inability to stop anyone from scoring is much more surprising and concerning. Former Head Coach Monty Williams was fired in the offseason even after making a surprise playoff appearance in the stacked Western Conference mostly because he could never establish a strong defense. 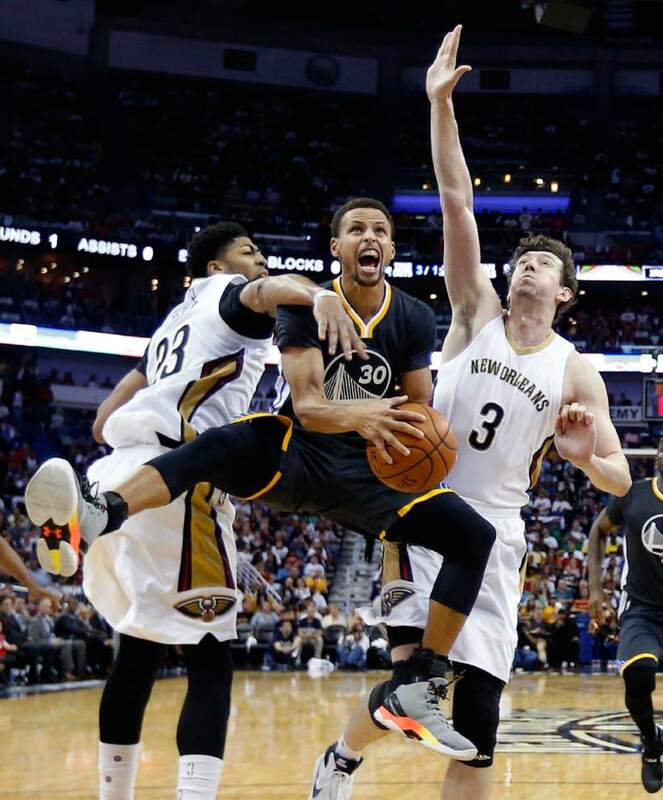 New Orleans’ 105.4 points allowed/100 possessions were only good enough for 22nd in the NBA. They were one of two Western Conference Playoff teams to finish in the league’s bottom half in that category. This season, even after Alvin Gentry brought in Assistant Head Coach and defensive Wunderkind Darren Erman to shape up that side of the court, the Pelicans are allowing a league-worst, season-killing 110 points/100 possessions. If that number holds over the course of a full season – which it almost certainly won’t, it just speaks to how bad they’ve been so far – it would be the worst defense of the last 5 NBA seasons. Outside of Davis and Center Omer Asik, there isn’t much defensive talent on this team. It’s very bizarre, then, that their biggest defensive problem is defending the rim and the paint. New Orleans’ opponents are making an absurd 63.3% of their shots within five feet of the hoop, which is the 4th worst mark in the league. They aren’t faring much better against short-range shots away from the rim, either. The 45.7% of those shots that are going in is the NBA’s 6th-worst figure. The problem New Orleans has frequently encountered in their first few games is that when Davis is freelancing, trying to terrorize everything within 15 feet of the hoop with his freakish length and size, there’s no one left on the block to deny opponents easy access to the rim with Asik on the bench. Center Kendrick Perkins is not the defensive stalwart he once was even when healthy. Luke Babbitt and Ryan Anderson are stretch 4s. Saving the wear-and-tear on the future of your franchise is a defensible decision, but New Orleans can now ill-afford to drop games by giving up 110 points. Guarding the low post is one area where a franchise Big must excel, and it’s a role Gentry and Davis must not avoid moving forward. Going forward, there are reasons to expect improvement that lie completely outside the Pelicans’ control. Their first 8 games have featured 7 matchups against teams that were in the playoffs one season ago, including two games against the Warriors, who have had fire shooting out of their asses these first two weeks. They still have 44 games against Western Conference opponents, but they’ve already gotten several of their most difficult games out of the way. Many of their problems on offense will also go away with the return of several key contributors. Injuries have absolutely savaged both New Orleans’ starting lineup and bench. Tyreke Evans is an incredibly frustrating NBA player what with his constant over-dribbling on offense, ball-watching on defense, and occasional flash of brilliance that makes one question why he isn’t MUCH better at professional basketball than he is. But, he is a threat that opposing defenses have to respect, something New Orleans desperately needs to take SOME attention away from a blossomed Davis. Quincy Pondexter is a versatile wing with a VERY good three-point stroke that provides the Pelicans valuable floor spacing. Both have yet to play. Backup Point Guard Norris Cole also hasn’t played yet and his presence will take some of the offensive burden off of Ish Smith, who has both filled in admirably and played way over his head so far. 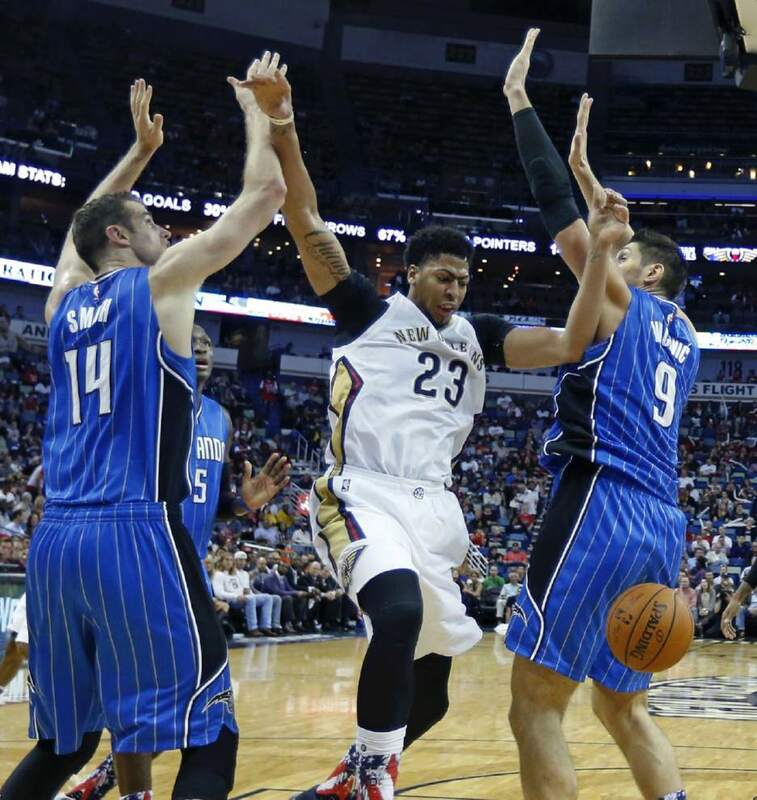 The Pelicans scraped into the playoffs last year with a 45-37 record. No one has qualified for the playoffs in the Western Conference with a worse record since 2007. They are, objectively, a better team than they have shown in their first 8 games and there is no reason to think that they won’t be able to round into their expected form rather quickly. But, this is the Western Conference, where every single loss puts a big dent in your playoff chances. To get back to 45 wins again this year, New Orleans has to play 44-30 ball the rest of this season. That .595 winning percentage may be over their heads. For that reason it’s possible … hell, it’s probable, that the Pelicans have already played themselves out of the Playoffs. If they don’t sort themselves out soon (read: NOW) it will be definite.